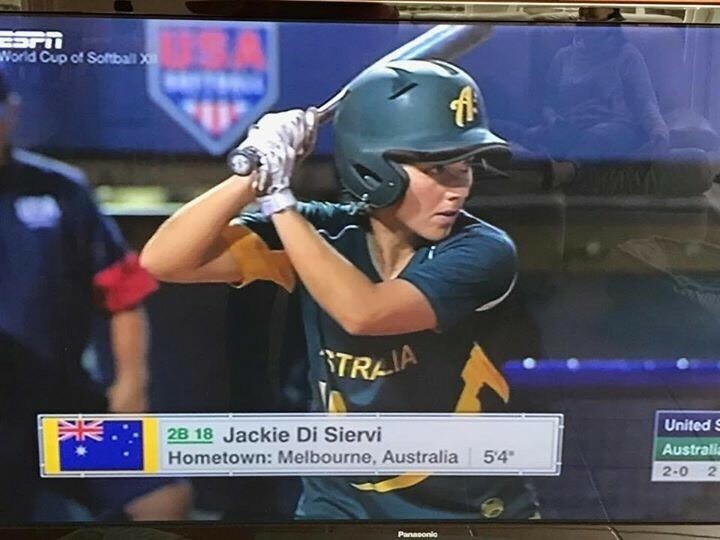 This year Jackie Di Siervi has played softball in five international tournaments for Australia in Sydney, Toyota (Japan), Oklahoma (USA), Surrey (Canada) and Takasaki (Japan). In Oklahoma the Aussie team finished fourth, in Canada we finished 2nd and most recently we received a bronze medal in Takasaki, Japan. After completing all of these tournaments, we are currently ranked 3rd in the world, after Japan and USA. In January next year, the Australian squad will be reselected for some international events early next year. Japan will be hosting the World Championships in August, which will be the major event to qualify for the 2020 Olympics. Well done Jackie!